They're wanted Two staff members are hidden in the wanted posters. On the left is "Cob Blampett" which is "Bob Clampett" with his initials reversed. 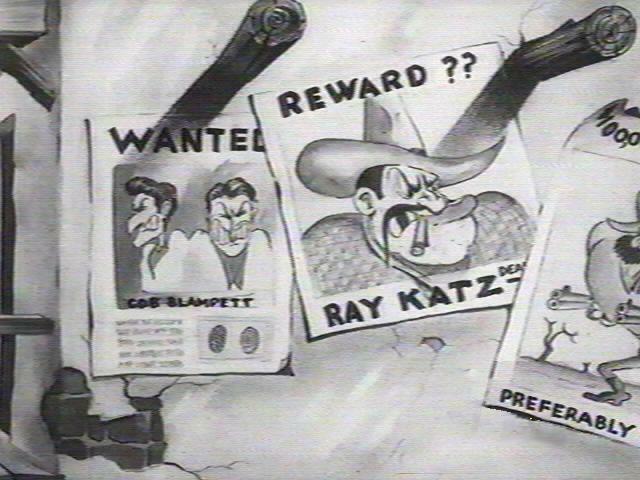 The other is for Ray Katz (who is wanted dead). [Gotlucky64 wanted to make sure I let you know that he saw this one :) ].